Do you have landscape ideas that are just too overwhelming? Do you need a landscaper in Gulf Shores or surrounding area to help revive your outdoor landscape? Well look no further! Krob Landscape out of Gulf Shores, AL specializes in backyard and front yard landscaping, landscape architecture, landscape designs as well as landscape maintenance, rock wall designs, and many other landscape services. Krob Landscape employees, only, the most skilled and most educated landscapers in the business. 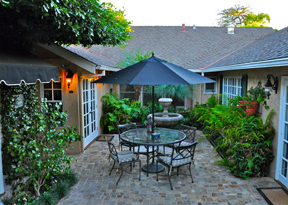 Each design or outdoor rejuvenation we do is unique to that yard. We at Krob pride ourselves on our original designs and our cutting edge equipment. 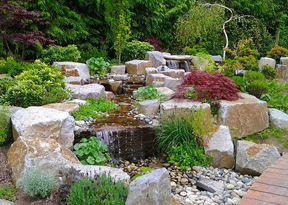 We stay up to date on the latest landscape techniques and tools to deliver quality Landscaping to every customer. Summer is coming and the plants are in bloom. Call Krob Landscape today for your free consultation. Let us examine your outdoor space and transform your yard into a summer foliage oasis.